High quality milled lumber graded as Vintage Pine available at Tomball Forest - Tomball Forest Ltd.
Vintage Pine starts as high quality material purchased from the top mills in the country. It goes through a strict grading process at our facility before it is milled to pattern. Afterwards, it is graded once again and not until it passes our high standards does it become Vintage Pine. It is then shipped to our customers with the same care it was produced with. Install this product in any area needing a solid, classic look. 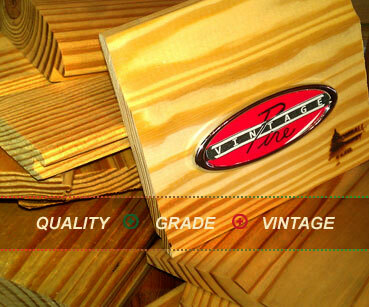 Ask for Vintage Pine by name. We have the ability to run a multitude of custom patterns. If you do not see the profile you desire, contact one of our knowledgeable sales team members to discuss custom milling options to match your needs.